← How To Make Your Home Improvement Project Eco Friendly? As summer is drawing to a close, the nights shorten and the temperatures begin to fall, September is the perfect time to start to prepare your home for the coming autumn and winter months ahead. 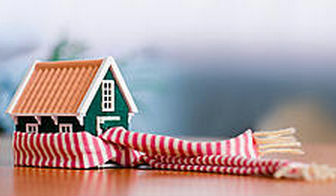 Follow our guide to make sure your home is ready for winter. You should get your gas boiler checked and serviced by a professional every year to make sure it is running safely and efficiently. We also recommend adding thermostatic valves to your radiators to help regulate temperature and save energy. In the living room 19 °C is sufficient, while in the bedroom, 17 °C is enough and will help you sleep better. Remember just 1 °C less can translate to a 7% energy saving, which also helps your wallet too! If you have an open coal/log fire or a wood burning stove you should look to have your Chimney swept, especially as last years colder weather is likely to have caused you to use it more than usual. For wood burning stoves get the the pipes cleaned and make sure that the connection joints are safe. The installation of a wood burning is subject to strict rules, so do not hesitate to contact a professional who will help advice you. Carbon monoxide produced by inefficient combustion if often a result of poor draw caused when your chimney becomes blocked or narrowed. It is a silent killer and every home should have at least one carbon monoxide tester where their boiler and chimney(s) are located. It is also a good time to start sourcing your fuel for the winter and to make sure you store the logs in a dry place so that they will burn better. A house with poorly sealed windows and door frames can become very costly to heat. On a windy day go around your property and check around the edges of all your doors and windows for visible gaps or signs of drafts. If the sealant is damaged it is simple to replace with either stick on rubber pads or purpose made window and door sealant which can be applied easily with a sealant gun. It is also advisable to check drafts under doors between rooms by inspecting the door sill to make sure it fits snuggly to the door and is not damaged or broke. If it is you can remove the sill by cutting in the centre with a saw, removing both parts and cleaning the area of any dirt before replacing with a new sill and sealing with caulk. Draft excluders are also very cheap to purchase and easy to apply to the bottom of doors. Inspecting your roof and attic area for broken or lose tiles, cracks and gaps or missing or damaged flashing is highly recommended. If using a ladder make sure you use a purpose made roof ladder and a have someone to hold it at all times. We would recommend you find a professional to carry out any details roof inspections, also ask them to check your gutters and to remove any debris and leaves. When in the attic check any insulation to make sure it is dry and well positioned. Over time small cracks appear in your brickwork and patios. As water enters these and temperatures drop below 0°C the water will freeze and expand, putting pressure on the walls of the crack. This action is known as ‘freeze thaw’ and as this repeats each day as the water freezes and then melts as the daily temperatures rise and fall. This repeated action will eventually causes cracks to widen and larger holes to form. To prevent this you will need to inspect and fill these cracks with cement or mortar. If the surface of your home is made of timber or other materials, check the seals and repair or replace lose nails and displaced Remember, exterior painting should generally be done at temperatures above 15 ° C, so this is the last chance to get your brush out and spruce up any of your outside areas. The cold weather and frozen temperatures can cause many problems in your garden. Make sure your garden furniture is stored away and your gas barbecue has been cleaned and the gas bottles safely disconnected and stored. Shut off any external water taps and put away your hose so that expanding ice does not burst it. Any small tress and shrubs susceptible to frost should also be protected by either moving indoors or by wrapping with net curtain. Using a net curtain helps keep the plant warm whilst allowing sunlight and water to still penetrate. Finally check any outside drains, down pipes and water butts to make sure they are clear of any blockages.